This plate was recently sand abrasive cleaned. 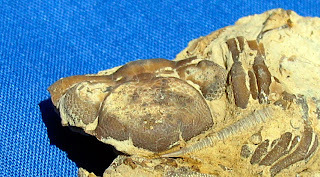 It revealed the cephalon of a Phacops rana trilobite with a Tentaculites in front of it. The Tentaculites was in between a broken segment of Phacops thorax. 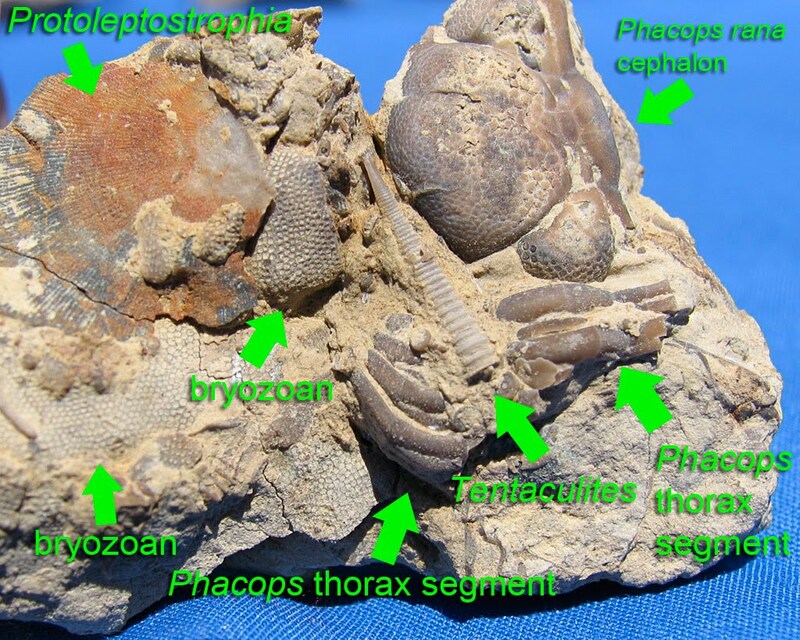 Further exploration of the plate reveal pieces of unidentified bryozoan and Protoleptostrophia brachiopod. Matrix is Silver Creek Member of North Vernon Shale Limestone of Clark County, Indiana. 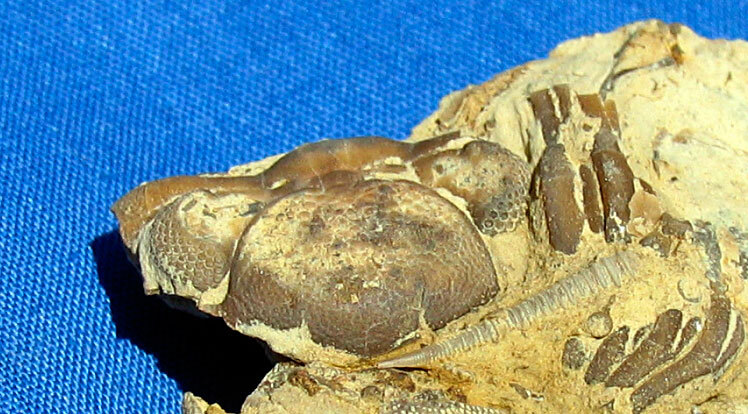 Fossils are from the Middle Devonian Period (Eifelian) dating approximately 397 to 391 million years ago. Unfortunately, I did not take a picture of the plate before I cleaned it. Curses!